The United States government is founded on the principal of a system of checks and balances. That is to say, the Founding Fathers of our country believed that no one entity should have absolute control. There are three branches of the United States government; by the power invested in each one, a collaboration must exist in order to ensure that democracy is preserved. No one branch has absolute power. This article will discuss briefly the role of each of the three branches-the legislative branch, executive branch, and the judicial branch. We’ll then look at each of the branches from the lens of a specific issue: the minimum wage. Hopefully, this practical example will help you to better understand the role of each of the branches, and to see how they complement each other. For starters, though, let’s just very concisely say that the legislative branch makes rules, the executive branch enforces these rules, and the judiciary branch is the system by which these rules are evaluated, allowing for change as necessary and as determined by the people. Actions that must be taken to raise the minimum wage would largely be conducted by the legislative branch of the government. In essence, this creates laws. Federal laws apply nationwide, but states and local jurisdictions may dictate further laws as well. The United States Congress, which consists of both the Senate and the House of Representatives, is the main government agency that runs this branch. 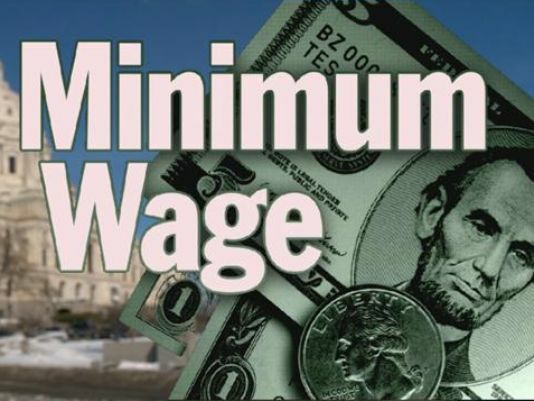 For instance, the federal government has set the minimum wage in the United States at $7.25 since July of 2009. However, many states and cities function at higher wages. This can be attributed to indexing the wage-meaning that it follows with the increased cost of living in certain parts of the country. The highest wage is in Seattle, where by 2021 the minimum wage will be at $15. There are currently efforts at raising minimum wages. On the federal level, there is work being done on a Fair Minimum Wage Act of 2013 that seeks to increase the federal minimum wage to $10.10 by 2015 nationwide. There are, of course, state and local efforts at raising the minimum wage as well. The executive branch enforces the laws that are passed. The President of the United States is the head of this department, but below him/her lies the Vice President, the Executive Office, and the many departments that comprise the Cabinet. In regards to the minimum wage, the Wage and Hour Division of the Department of Labor specifically addresses the terms of the Fair Labor Standards Act, ensuring that employees are paid duly. In addition the minimum wage, this division also oversees laws applying to overtime pay, sick leave, vacation time, etc. The judicial branch interprets and evaluates the law. The heart of the sentiment of a country for the people, run by the people, is exemplified in that defendants are tried before a jury of their peers- 12 citizens who will be unbiased in their application of the law to a particular case. The minimum wage has seen it’s fair share of court cases, on notable one being a 1937 case West Coast Hotel v. Parrish which ultimately upheld that the minimum wage in the state of Washington was indeed constitutional, reversing an earlier decision. Thus, the court system in America allows for the people, represented by a jury, to advocate for what is fair and just. Cases are assigned by their jurisdiction, meaning that local cases will be fought and determined in local courts, which by appeal and necessity can make it to higher courts when needed. The highest court is the US Supreme Court. It is comprised of a Chief Justice and 8 associate justices who are nominated by the President but must be confirmed by the Senate. Thus, we can again see how the branches of the government must work together for decisions to be made. A social issue of such importance as raising the minimum wage is obviously addressed in each branch. The voice of the people, represented in the candidates we elect to office and the juries of the courts, is of prime concern. The three branches of the government therefore work together to create a system that is efficient, but also thorough in ensuring justice and preserving the values that are the core of democracy.